The Orwell Foundation is a registered charity (number 1161563), governed by a Board of Trustees. The Foundation’s objects, as set out in its constitution, is the advancement of education for the public benefit including without limitation the provision of cultural events, debates, online resources and annual prizes. 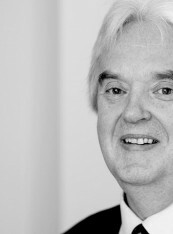 Ken Macdonald QC has practised at the Bar since 1978. A founder member of Matrix Chambers, he was appointed a Recorder of the Crown Court in 2001 and elected Chairman of the Criminal Bar Association in 2003. He served as Director of Public Prosecutions (DPP) between 2003-2008, the first prominent defence lawyer to have been appointed to that post. As DPP, he established the Counter Terrorism Division, the Organised Crime Division, the Special Crime Division and the Fraud Division. He played a major role across Whitehall in the development of criminal justice policy, especially in relation to international treaties and jurisdictional issues, mutual legal assistance, extradition, terrorism and grave cross border crime. He became a Bencher of the Inner Temple in 2004, and he was knighted for services to the law in 2007. Appointed a Deputy High Court Judge in 2010, he entered the House of Lords in the same year. His practice ranges from business and corporate crime and associated extraditions, to financial regulation, sanctions busting, terrorism, espionage and human rights law. His clients have included international media organisations, prominent British banks, major foreign defence corporations, and many family offices and private individuals. He has a special interest in emerging international criminal liabilities and writes regularly for The Guardian and The Times on law, politics and security. He was a Visiting Professor of Law at the London School of Economics 2009-2012 and is a member of the Advisory Board of the Centre for Criminology at the University of Oxford. In 2012 he became Warden of Wadham College, Oxford. 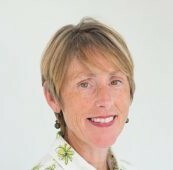 Kathy Harvey is Associate Dean, MBA and Executive Degrees at Saïd Business School, University of Oxford. Formerly, Kathy worked as a producer, reporter and political correspondent for the BBC. She has also worked as a freelance producer for Channel 4 TV, was a commissioning editor for UK national newspaper, the Independent, and has written for the Sunday Times, Financial Times and a variety of specialist publications. 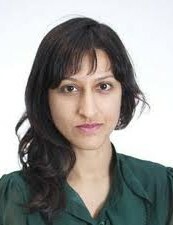 Arifa Akbar is arts editor at Tortoise Media and theatre critic for The Guardian. She is the former literary editor of The Independent, where she worked from 2001 to 2016 as a news reporter and an arts correspondent before joining the books desk. She has also served as Head of Content for the crowd-funding publisher, Unbound, where she launched and edited the long-form literary website, Boundless. She has contributed to the Financial Times, the Daily Mail and appeared on Sky News as a newspaper reviewer. In April 2018, she curated a Muslim literary festival at the British Library, in London, called M-Fest. She sits on the advisory board for English PEN’s writers in translation committee and was in the advisory group for the Cheltenham Literature Festival in 2017-18. She has moderated panels at literary festivals across the UK and judged prizes including the Orwell Prize for Books 2013, Costa Biography Award 2017, UK Theatre Awards 2018 and the Wingate Literary Prize 2019 and the Women’s Prize for Fiction 2019. Richard Blair is George Orwell’s son. 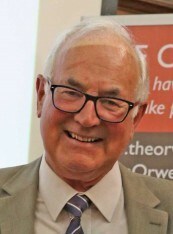 Richard is patron of The Orwell Society, a membership organisation open to all dedicated to promoting understanding and appreciation of the life and work of George Orwell, as well as a trustee of The Orwell Youth Prize. Elizabeth Paris is an Associate Fellow at the Said Business School, University of Oxford. After graduating from Oxford University, where she read Modern History, Elizabeth spent nineteen years in investment banking with Chase JP Morgan, her final ten years as a Managing Director. In 2002 Elizabeth left JP Morgan to develop a portfolio of roles. These include joining the University of Oxford Said Business School as an Associate Fellow where her activities range from Industry Advisor for Finance to managing the University of Oxford Goldman Sachs 10,000 Women programmes in Hangzhou and Chengdu, China. Roles outside Oxford that focus on women and entrepreneurship include designing the World Bank and IFC program for gender sensitivity in banks, as well hands-on teaching of women entrepreneurs in Lagos and Accra. She works as a consultant for the social enterprise Common Purpose and in the private sector for clients such as EY and UBS. In 2011 she was appointed a Deputy Lieutenant of Oxfordshire. Her interest in governance includes an active role on public and not-for-profit boards at local, regional and national level all connected to young people, education or homelessness, and she is currently Chair of The Orwell Youth Prize established under the auspices of The Orwell Prize. 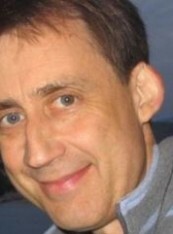 D. J. Taylor was born in Norwich in 1960. He is the author of five novels, including English Settlement, which won a Grinzane Cavour prize, Trespass and The Comedy Man. He is also well known as a critic and reviewer, and is the author of A Vain Conceit: British Fiction in the 1980s, After the War: The Novel and England since 1945 and an acclaimed biography,Thackeray. His critically acclaimed Orwell biography, Orwell: The Life (2003) won the Whitbread Biography Award, and he gave the 2005 Orwell Lecture entitled ‘Projections of the Inner “I”: George Orwell’s Fiction’. He is married with three children and lives in Norwich. 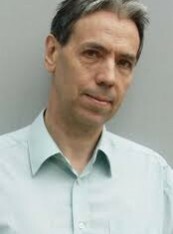 Boyd Tonkin is a journalist, critic and broadcaster, and Chair of the Judges for the Man Booker International Prize 2016. He re-founded the Independent Foreign Fiction Prize in 2001 and judged it each year until 2015. 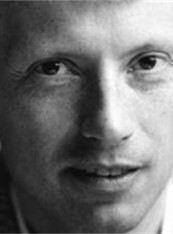 For many years the Literary Editor of The Independent, he then became the paper’s Senior Writer and Art Critic. He studied English and French literature at Cambridge University, and lectured in literature before becoming an award-winning magazine journalist, and freelance writer for The Observer. He was appointed social policy editor of the New Statesman, and then Literary Editor, before moving to The Independent. He has reported on literary and artistic issues from more than 30 countries on five continents, has been an invited speaker at festivals and conferences around the world, and his work has appeared in books from Reading the Vampire Slayer and the Oxford Good Fiction Guide to (most recently) a new edition of Muriel Spark’s writing on the Brontes. He has also judged the Booker Prize, the Whitbread biography award, the Commonwealth Writers’ Prize, the David Cohen Prize, and the Priz Cevennes in France. He is an associate editor of the Journal Critical Muslim. Ben Jackson is one of two trustees appointed by Political Quarterly. He is Associate Professor of Modern History at the University of Oxford and a Co-Editor of Political Quarterly. 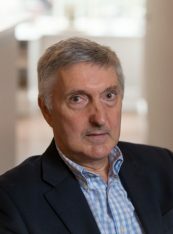 He is a historian of modern Britain, with particular interests in political thought, labour history, and the history of economic and social policy. 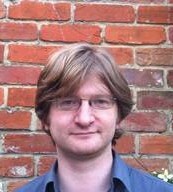 Ben is the author of Equality and the British Left (2007) and the co-editor of Making Thatcher’s Britain (2012). He currently serves on the Editorial Advisory Boards of the Journal of British Studies; Renewal; and Twentieth-Century British History. 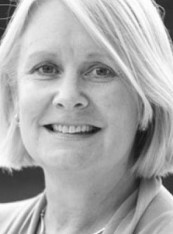 Liz Sich was Managing Director at leading arts PR agency, Four Colman Getty, until her retirement in early 2015. She has a publishing background and was Group Publicity Director at Random House for five years, where she worked with a number of bestselling writers including Sebastian Faulks, Robert Harris, and Ruth Rendell. 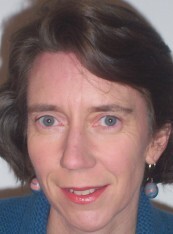 At Colman Getty, she worked on a range of high-profile projects such as the first volume of Margaret Thatcher’s biography by Charles Moore (which was shortlisted for The Orwell Prize), on Defence of the Realm, the authorized history of MI5, and The Mitrokhin Archive, both by Professor Christopher Andrew. She led the PR teams for the launch of World Book Day, the opening of the new Library of Birmingham, and the award-winning bookshop, Foyles. Now an MA student at Birkbeck College, she is also a trustee of Streetwise Opera, the Chipping Norton Literary Festival, and Hornsey Town Hall Creative Trust. Alongside Arifa Akbar, Liz is co-administrator of The Orwell Prize for Political Writing and The Orwell Prize for Political Fiction. Hugh Tomlinson QC is a Barrister, and founding member of Matrix Chambers. He is a specialist in media and information law. Hugh has also translated works of French philosopher Gilles Deleuze. Andrew Williams is Professor of Law at the University of Warwick, where his research interests currently focus on Human Rights and the EU, the laws of war and international criminal law. 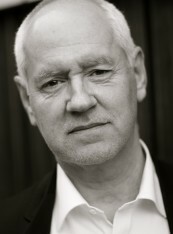 Andrew qualified as a solicitor in 1986. He joined Warwick Law School in 1996, obtained an LLM in Public Law from the University of Bristol in 1993 and a PhD from the University of Warwick in 2003 when he was also presented with the Warwick University Award for Teaching Excellence. He has established a Centre for Human Rights in Practice that undertakes human rights projects nationally and internationally whilst also providing students with experience of human rights related work. He is the author of A Very British Killing: the Death of Baha Mousa (Jonathan Cape) which tells the story of the brutal murder and ill-treatment of an Iraqi civilian by British troops in Basra in 2003 and which won the Orwell Prize in 2013. 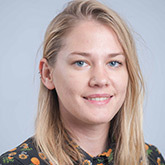 Laura is a Research Associate at King’s College, London, working across the Policy Institute and the newly founded Global Institute for Women’s Leadership. She works across a range of social policy areas with a focus on gender equality initiatives. Prior to joining the Policy Institute she worked as a researcher and producer in broadcast journalism and documentary, working for the BBC and ITN on programmes such as Panorama and Dispatches. Su-Mei Thompson is Chief Executive of Media Trust, a charity which aspires to bridge the gap between the media sector and broader society. Through skills based volunteering and capacity building, Media Trust is giving charities, marginalised communities and young people a stronger voice while helping the media sector to be more responsive, responsible and representative. 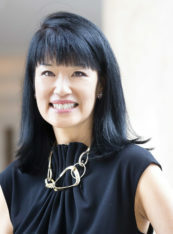 Between 2009 and 2017, Su-Mei was CEO of The Women’s Foundation in Hong Kong. Su-Mei co-produced TWF’s award-winning documentary “She Objects” on how the media creates and exacerbates gender stereotypes and her TED talk “Dying To Be Thin” has had over 100,000 views. In 2013, Su-Mei founded the 30% Club Hong Kong, to champion more women on corporate boards. went on to hold senior management positions at The Walt Disney Company, the Financial Times and Christie’s Asia. Besides running Media Trust, Su-Mei is currently a council member of her alma mater, the Cheltenham Ladies College, a board member of the Orwell Foundation and an advisory board member of the English National Opera.